I get questions all the time about how I manage so many planners. I have tried many times to stick to one planner, but I just can't do it. 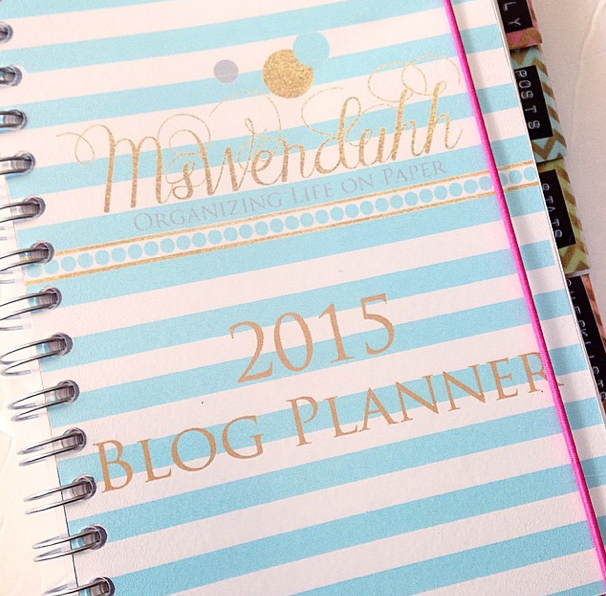 I can't help it, I am a planner addict. I need my planners. I can't not use all of them. Honestly though, I really only use one calendar, the rest are to manage other parts of my lives. If I could, I would make one big fat planner, but because the rings in most planners cannot accommodate my whole life on paper and I am a weakling and wouldn't be able to carry it, are the reasons why I use so many planners. Note: This was my previous setup. I will post another update after that gets all situated. I am trying a new system right now where I use only my mulberry as my planner and calendar and the ECLP as a reflection/journal/scrapbook instead. I love my ECLP but it just isn't working out for me anymore. For the past few weeks I have been trying to use only my ECLP but it just hasn't been working out for me. It did in the past when I first started planning, but I love the size of the mulberry much more! 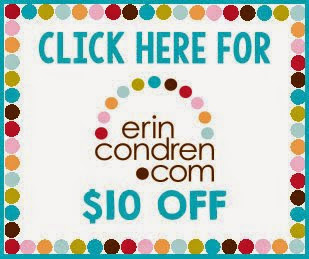 My main planning calendar planner is the Erin Condren Life Planner. It is perfect since it has tabs for the months and the weekly view is vertical with sections (I love sectioning off things). 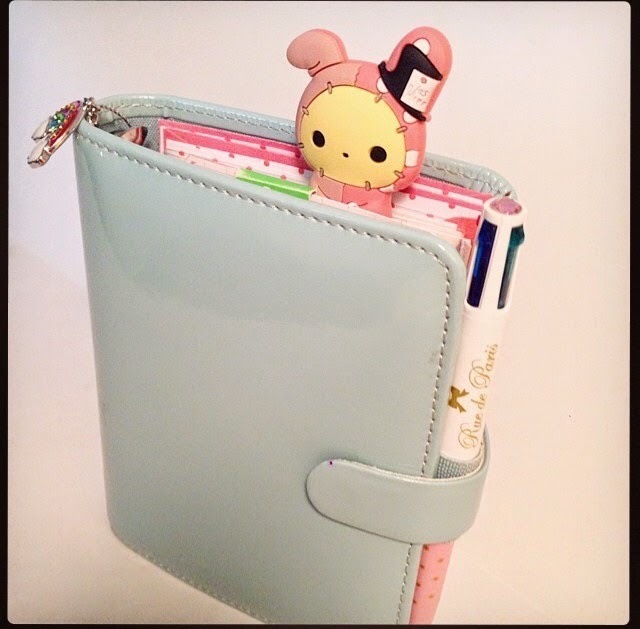 It is big enough to write down events and everyday things, and it is also super cute and colorful! I write down all of my appointments, birthdays, events and more inside this planner. I write it twice, both in the monthly and the weekly views. I also use it to track my home cleaning tasks as it is my home planner. I use it everyday but it stays at home only. I have my morning, day and night sections set as "home", "family & appts. ", and "personal". In my home section (the first box) I write down everything that needs to get cleaned like laundry (whites, darks, delicates, towels etc), floors, bathroom and such. In the family & appts. section (the second box), I write down activities for my kids, anything my fiance needs me to help him remember, events that we do as a family, places we have to go, people we need to visit, and also any appointments we may have that day. In the personal section (the third box) I write down my own personal tasks like painting my nails, organizing my stickers, things I need to get done on the computer, stuff like that. Then on the bottom row, I used to use it for meal planning, but this week I tried something new. Now I plan on just writing highlights of the day. I used to do that a while back and love seeing little memories at the bottom of the day. 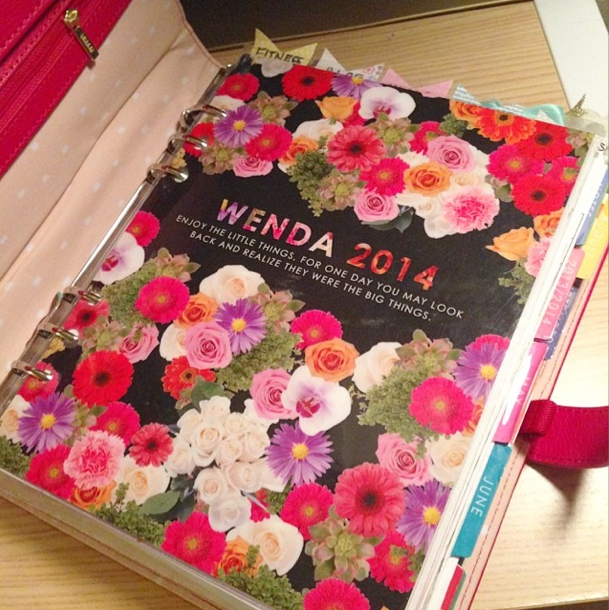 I plan on using this Erin Condren planner as a memory book as well. Especially next year's since it is coiled, and I won't have to worry about loose pages. I would like to look back at each year and see everything I did plus a little memory of that day! This is why stickers and decorating are a must in this planner! I don't decorate at all really in any of the other planners. 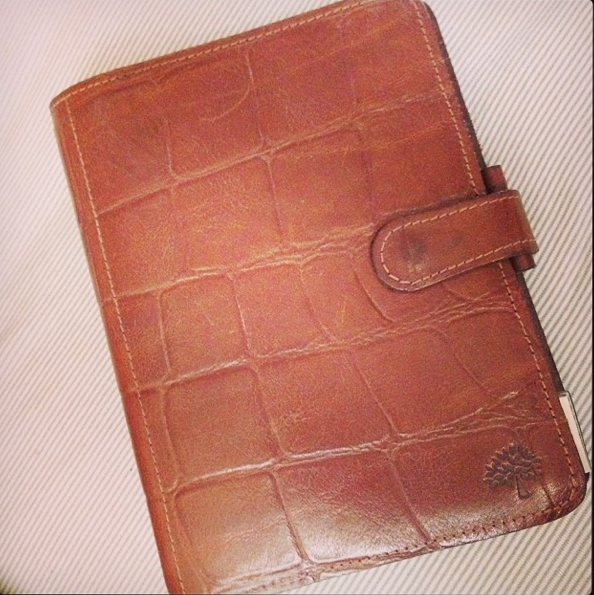 The Mulberry Agenda is close to a personal sized Filofax, just shorter and wider. It holds the A6 paper size. I love the size. It is small enough to carry around and fat enough to write in. This is my ideas planner. I have sections for my blog, quotes, notes, lists and such for all of my running ideas (an updated setup post will follow soon, for now see my other setup here). I also keep an appointments printable and a basic month on one page calendar to write down any appointments I may have to write down when out and about. For a while I was using daily pages and planning everyday in there. I would plan the next day the night before and it worked wonderfully for a while, but I felt my Erin Condren was being neglected. Then I tried using both, but it felt so repetitive. So just recently I just took out my daily section and am placing one of these daily pages in between my weeks everyday. After that day I just toss it out. Most days I don't even hole punch it into my EC, I just simply paper clip or place it in there (which will be great once I go back to the coiled planner next year). Anyways back to the Mulberry. I like to think of this planner as my brain dump. Any idea that pops into my head goes into this planner. I have tons of sticky notes for any note taking I need to take and file it accordingly afterwards. I also have a printable draft section, where I draw/sketch out my printables to see how it looks inside the actual planner. In the lists section I have a new A-Z section! (again, updated mulberry planner setup post will be up later). I have lists for only a few things right now but if I need to add a section I can do so easily. My current sections are for G-Gift Ideas, K-Kids Activities, O-Online Orders, and of course W-Wish Lists. I wrote down a few more ideas I had for other letters in my notes section as well. It's working out perfectly for now. I try to take this planner everywhere with me, because I hate when I have an idea pop into my head but I have no where to write it down! My next planner is my awesome personal-planner from personal-planner.org! I am so glad I have it! I went with the time stamped schedule vertical layout with a lined to do section, which is perfect for my time management (see my personal-planner here). Since I am not getting paid a lot from this blog I try my best to manage how much time I spend on this. I get so caught up in making stickers and printables that I sometimes forget to clean up the house! So with this planner I write down one or two things I want to get done for the blog in the to-do section underneath the schedule, and try to work no more than two hours on it day. If I work on it longer I write down how long I did by using the time stamped schedule in the weekly view. Then I have a customized "hours" box to write how long I worked on the blog in total for the day. In the back pages I have a blog planner, blog stats and statistics, and blog checklists. It has really kept me organized and in control of my blog. Finally, my small pocket Filofax! Now I really don't plan in this at all. It is just a wallet with a spending tracker. I hardly ever use it unless I am shopping. I keep my cards, cash, and coupons in here. I have a shopping list section, budgeting section, and a weekly view page where I track my spending. More on this can be found in my wallet setup post here. It's a great way to see where all of my money is going and helps me keep track of how much money we actually have since the bank always takes a few days for things to go through, you know? So yup. That's how I use all of my many planners! I know a lot of people who use many planners for fitness and health, school, work, and more. What do you use your planners for? 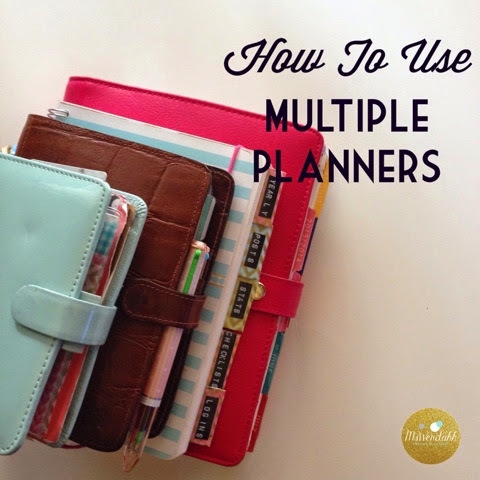 I hope this post has helped you gain some insight on how to use more than one planner in your life and how it works for me. I think I'm not so busy yet that I need multiple planners. I tried using 2 planners this week (one for personal daily stuff, another for the blog) but I don't like referring to 2 separate places. I think I'll go back to combining them into one planner next week. I think as I go along in this planner journey, I'd likely be adding more planners. I will probably create a planner for household management next year. I just need to sort out our various documents and receipts some day. I think of it as one planner in several volumes. That helps me see the different organisers as one joined-up system. I have so many ideas now. However, I thought I would mention that personal-planner.org re-directs to prosperityplanner.com which is a planning system based on L. Ron Hubbard. Not sure that is what you meant! I went to personal-planner.com and it seems like that it what you were referring to. I use my main planner for all calendar purposes. My work planner is only for work project planning, work files (like notes on how to access Westlaw), a running contact notebook for archiving phone calls and meetings, and my timesheet. I use one planner and have tried to fit everything I need into it. I have a diary section, a notes, a project, a financial and an Information tab. I do have multiple Filofaxes, but I rotate them. Currently I am using a purple Personal Malden.